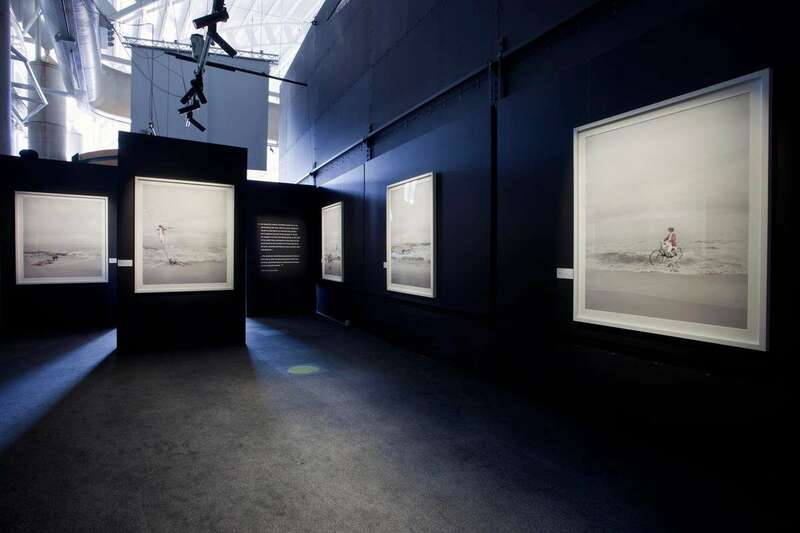 The Australian National Maritime Museum is celebrating NAIDOC Week 2015 with the launch of our new exhibition Undiscovered, a collection of 10 photographic prints by renowned Aboriginal artist Michael Cook. This year’s NAIDOC theme is “we all stand on sacred ground”, so we feel that it is very fitting to see the photographic works set on the shore (sacred ground). NAIDOC week started back in the 1920s when Aboriginal rights groups boycotted Australia Day (26 January) and wanted to have the Sunday before Australia Day recognised as a day of mourning, and for this to be called Aborigines Day. In 1955 Aborigines Day was moved to the first Sunday in July after it was decided the day should become not simply a protest day but also a celebration of Aboriginal culture. The museum acquired Undiscovered in 2014, with the works being purchased for their intricate detail as well as their strong narrative, giving a dual perspective on the notion of the discovery of Australia. View of Undiscovered, 2015. Photo: Andrew Frolows. 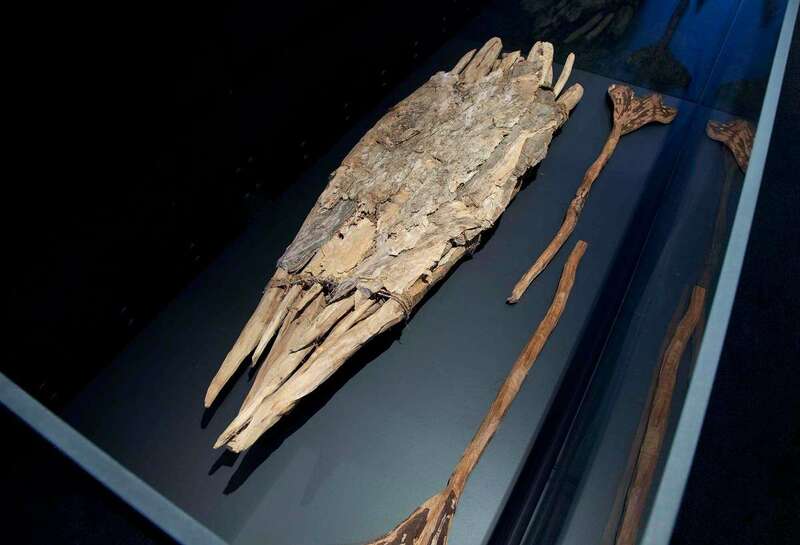 Bardi raft on display in Undiscovered at the Australian National Maritime Museum. View inside Undiscovered, 2015. Photo: Andrew Frolows. 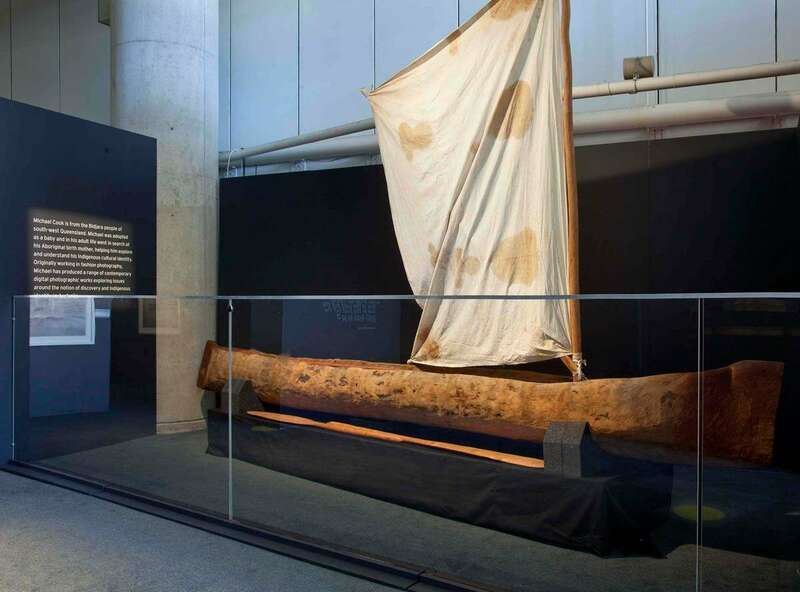 Dugout canoe on display in Undiscovered at the Australian National Maritime Museum. 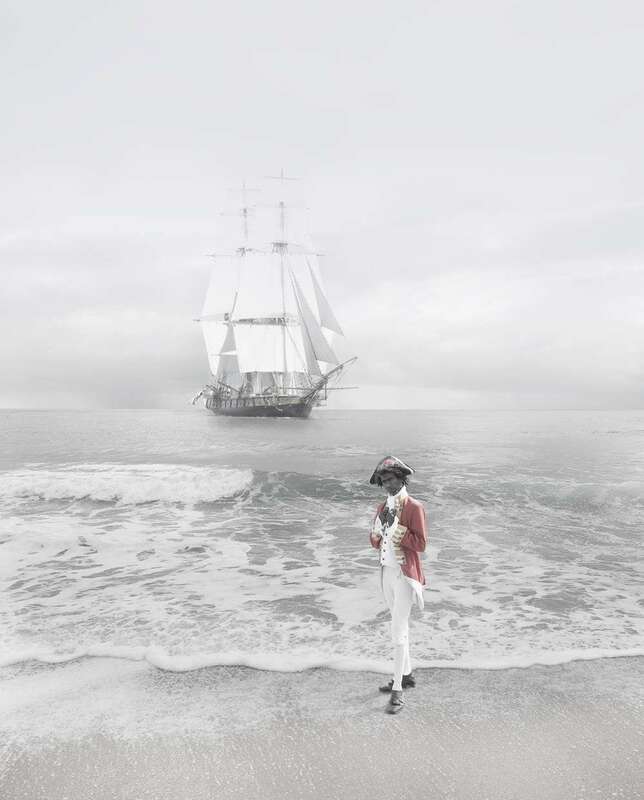 These striking large scale works reflect upon European settlement in Australia. They take on a different approach, asking the question, “who discovered who?” and challenge the common historical narrative of Cook discovering the East Coast of Australia, despite the fact that Aboriginal people had been living here for thousands of years. The new British explorers had no idea of the basis and meaning of Aboriginal culture prior to their arrival. Aborigines were seen as inferior – people with no education or organisation – and their knowledge and experience of the land was largely overlooked and ignored. We are delighted to have acquired this stunning series of works into the National Maritime Collection, encouraging people to think differently about European exploration of Australia. The exhibition is a significant contribution to NAIDOC Week and complements the museum’s ongoing Aboriginal and Torres Strait Islander Programs. 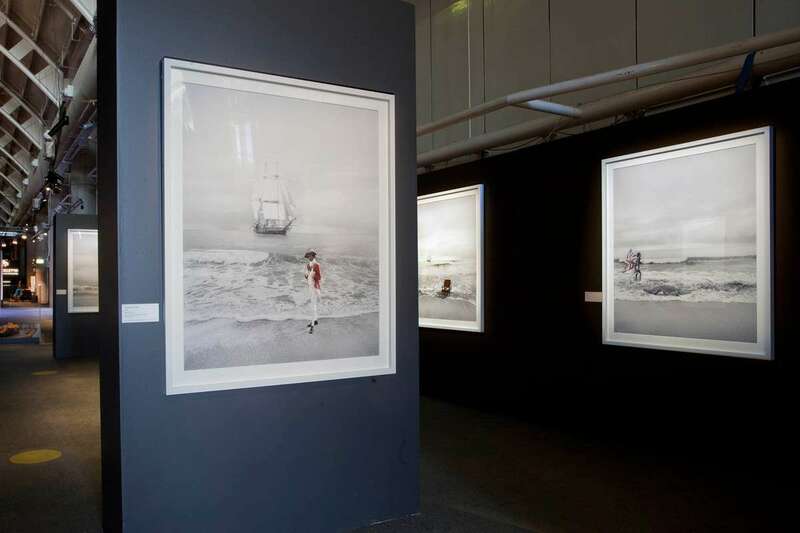 The exhibition of the 10 photographic prints are on display until 15 November 2015. Visitors are invited to hear more about the exhibition when Michael Cook talks about his works in a special Artist in Conversation session on Thursday 9 July at 3pm in the gallery (talk included in museum entry). 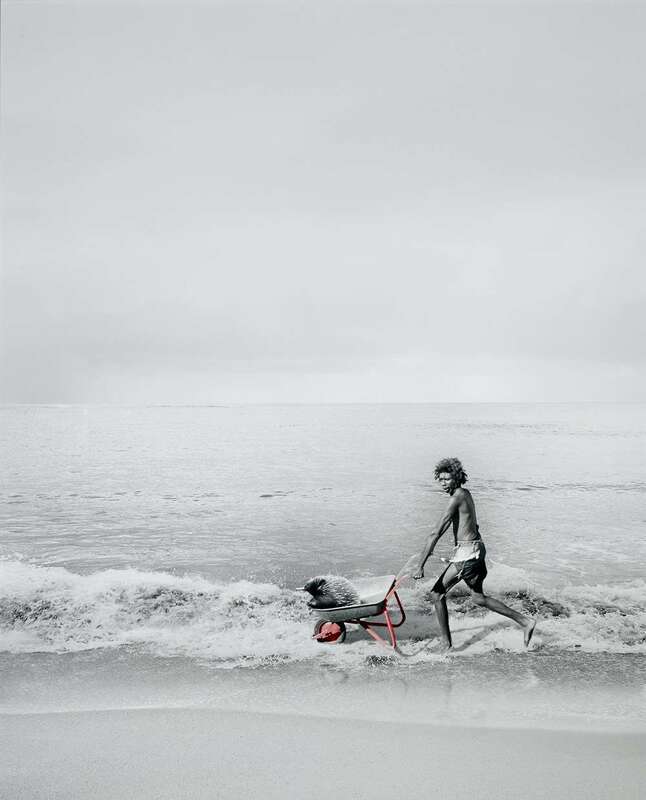 Undiscovered – Photographic works by Michael Cook is now open and is included in our Galleries ticket. For more information about NAIDOC week, head to their website.